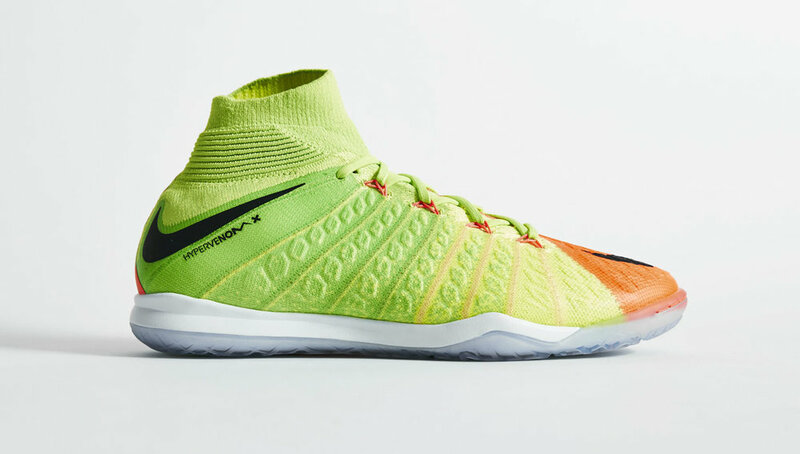 The Radiation Flare flashes through the FootballX collection as Nike update their small-sided squad with designs that mirror the on-pitch cleated editions. Indoor, outdoor, hi-top, lo-cut. Options are aplenty for a brand that is taking its futsal game seriously. Bold, electric and unapologetic, the Radiation Flare captures the fast-paced, expressive nature of street football pretty damn well. The surface on which you play your game has become an even playing field when it comes to performance design for Nike. The Swoosh have made it their job to supply elite level footwear throughout, whether you're playing on grass, astro, court or street. The fact they're rolling out matching colourways as the on-pitch boots worn by their professional players only complements the FootballX profile further. 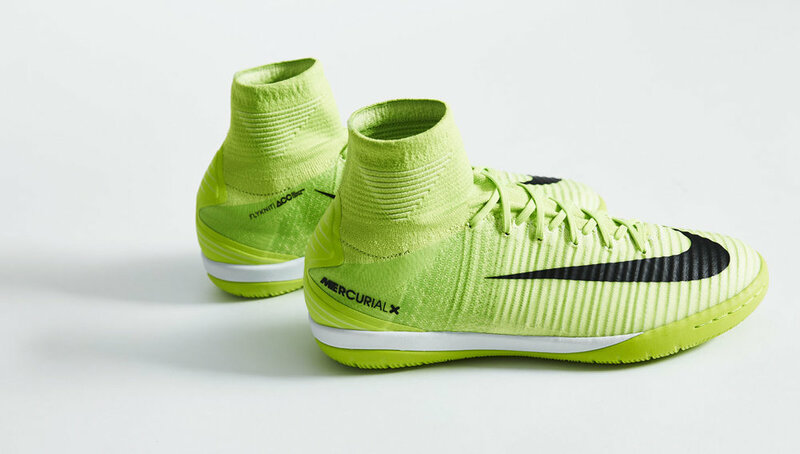 Modified Flyknit uppers sit on the MercurialX Proximo II, HypervenomX Proximo II and MagistaX Proximo II, each equipped to handle the rough and tumble demands of small-sided football on urban surfaces, while the TiempoX Proximo II heads up the lo-cut game in striking volt. A strong set of colour palettes right across the board for the Swoosh – the Radiation Flare fire roars on.